Please join me on this Sunday's Conference Call, August 23rd, at 2:00p.m. EDT. 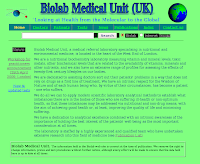 MeBO Research’s 6th week update, including initialMeBO-Biolab Gut Dysbiosis Study in the UK, what tests have been selected and why, how the results will be interpreted and documented, future MeBO efforts of studies in the U.S., international fund raising efforts underway, social and political awareness projects to be organized and initiated toward the end of this year, and any other topic you may wish to discuss regarding the direction you would like to see our community heading. I would like very much to hear from sufferers what they would like to see take place to improve our quality of life until a cure is found. Please be thinking about this question, and bring your ideas to the call. I look forward to speaking with all of you. 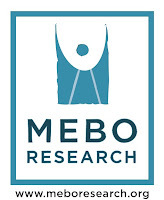 MeBO Research aims to become a charity focusing on systemic body odor and systemic sourced halitosis, particularly 'bowel smells' body door, since it is the most common. Any donations are welcome to primarily reach MeBO's aim of charity status. As a charity, MeBO can then pursue grants and endowments in order to carry out large-scale international studies.